Yesterday Jonathan Christman posted the above audio at his blog, where he has been tracking the debate that has arisen regardng appropriate speech for pastors. He reports that the audio is from the 2009 Basics Conference that took place on May 11-13 at Parkside Church in Cleveland, Ohio. In it, John declares his agreement with MacArthur with regard to the proper interpretation of the Song of Solomn and what makes for appropriate speech for pastors, but he disagrees with MacAthur's apparent view that such problems should automatically disqualify Driscoll from pastoral ministry. 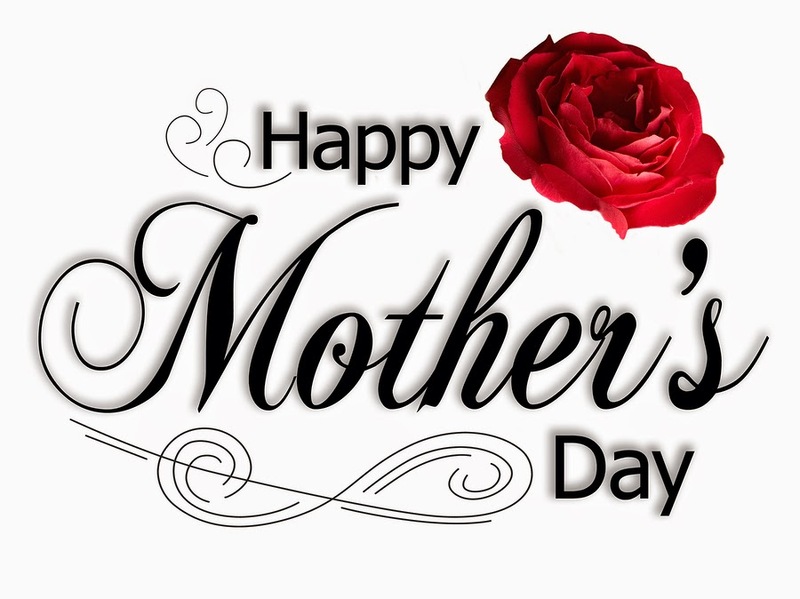 Note: The following is a basic teaching outline for a Mother's Day message. I hope the blog's readers find it helpful. Anna M. Jarvis (1864-1948) first suggested the national observance of an annual day honoring all mothers because she had loved her own mother so dearly. At a memorial service for her mother on May 10, 1908, Miss Jarvis gave a carnation (her mother's favorite flower) to each person who attended. Within the next few years, the idea of a day to honor mothers gained popularity, and Mother's Day was observed in a number of large cities in the U.S. I think it is proper that we should show appreciation for our own mothers as well as for the role of motherhood itself. And it is especially fitting that we honor godly mothers, for, as Abraham Lincoln was known to have said, “No man is poor who has had a godly mother." But I can think of no better way to honor the mothers in our midst than to show how motherhood at its best reveals the character and love of God. This is why a loving mother is sometimes used in the Bible as a metaphor to describe God's love for us. And today I would like to take a look at a few passages where this may be seen. But before we look at the first passage, I want to qualify what I am trying to say. I am not saying that we should refer to God by the title Mother. We should always and only refer to Him as Father and in masculine terms, which is the consistent testimony of Scripture. However, as I have said already, Scripture does use the analogy of a mother's love to picture the love of God in several places, so it is appropriate that we learn from this. So, with this caveat in place, let's consider first Isaiah 66:10-13. In this passage God likens Jerusalem to a mother, and I suspect this is where Paul may have gotten the idea when he referred in Galatians 4:26 to the heavenly Jerusalem as “the mother of us all.” However, notice as you read the passage that it isn't until verse 13 that we see that it is really God who will comfort His people as a mother comforts her children. 3) Like a mother God delights in us – This can be seen in the reference to the way the mother gently and joyfully bounces her child on her knees (vs.12c, “dandled on her knees”). The Hebrew word translated dandled [shaa] actually means “delight in,” but the English word dandle is probably a good translation and means “to move (as a baby) up and down in one's arms or on one's knee in affectionate play” (Merriam Webster Online Dictionary). The picture us one of joyfulness, gentleness, and caring. Observe in verse 2 how David describes his relationship with God as being “like a weaned child with his mother.” He communicates a childlike trust in the Lord that doesn't need to have all the answers to every difficult question because it relies completely on the care and love of God. We can trust in God without question, just as a small child trusts his mother. This kind of faith trusts fully in God's promise that He will never leave us or forsake us (Heb. 13:5). And this leads to the next passage. Just as a mother remembers her nursing child, so God will always remember us. And He doesn't just remember us, but He remembers us with compassion toward us in His heart, just as a mother is moved by compassion to feed her crying child. From this doctrine faith derives manifold advantages. First, it perceives that the Lord, by his ascension to heaven, has opened up the access to the heavenly kingdom, which Adam had shut. For having entered it in our flesh, as it were in our name, it follows, as the Apostle says, that we are in a manner now seated in heavenly places, not entertaining a mere hope of heaven, but possessing it in our head. Secondly, faith perceives that his seat beside the Father is not without great advantage to us. Having entered the temple not made with hands, he constantly appears as our advocate and intercessor in the presence of the Father; directs attention to his own righteousness, so as to turn it away from our sins; so reconciles him to us, as by his intercession to pave for us a way of access to his throne, presenting it to miserable sinners, to whom it would otherwise be an object of dread, as replete with grace and mercy. Introduction: Ask for contribution from the congregation to answer the question: “What are the most significant events of Jesus' life or aspects of His work for us?” Answers will do doubt include such things as His virgin birth, sinless life, miracles, crucifixion, and resurrection. Sadly, I have yet to hear anyone mention the ascension when I ask this question. But what about His ascension? What can we learn from it, and why do we need to know about it? Many Christians have not given Jesus' ascension much thought, except, perhaps, as a part of a discussion of His return – which we will see is indeed important. But there are a number of things the Bible has to say about why Jesus ascended into Heaven. In fact, we will examine nine reasons for His ascension. 1. Jesus ascended to demonstrate the manner in which He would return. Application: This passage is the primary reason why Christians have consistently affirmed the visible, bodily return of Christ in the future. We do not have to worry that He might have come back already and we somehow missed it! He was seen going into heaven, and He will be seen coming back to earth! 2. Jesus ascended to complete His exaltation. Application: We should never cease to praise Jesus as our risen and ascended Lord. We should seek to praise and honor Him as Lord in all that we do. And we should remember to include this as part of the Gospel message in our witness to others just as the Apostles did. When you tell others about Jesus, do you ever emphasize His exaltation at the Father's right hand? Do you stress His exalted status as Lord over all creation? 3. 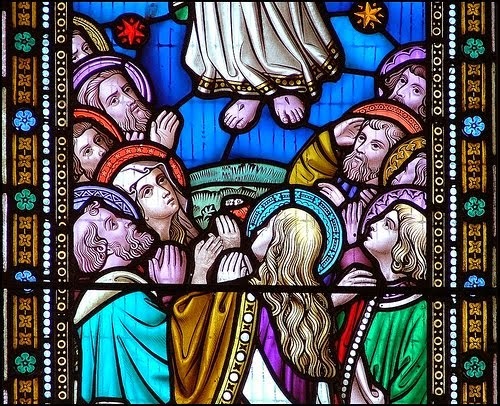 Jesus ascended to begin His reign in Heaven. Application: Many of us rightly think of Jesus as one day returning to establish His Kingdom, but we should also remember that He is already reigning over all things. He is already the King to whom every knee ought to bow, and our allegiance to Him takes precedence over all other allegiances. 4. Jesus ascended to demonstrate the completion of His sacrificial work. Application: Jesus' work was finished, and there was nothing left to be done in order to accomplish forgiveness for our sins, so – unlike the Levitical priests – He sat down. If He needed to do nothing more for us in His atoning work, then we can certainly do nothing to add to what He has done! We can fully place our trust in what He has done for us, confident that there is nothing left to do! 5. Jesus ascended in order to prepare a place for us. Illustration: When we have guests coming, we get ready for them in advance, especially when we are glad to have them coming to stay with us. And we aren't going to spend all that time getting ready for the visit only to forget to pick our guest up at the airport! Application: Jesus is already making preparation for the eternity we will spend with Him in Heaven! What a tremendous encouragement for us all. And if He is working to prepare this place for us, then we know He is doing it for a reason, to come for us and take us home with Him. 6. Jesus ascended in order to send the Holy Spirit to us. Application: The Holy Spirit enables us to experience the presence of Jesus in our lives at all times. Jesus doesn't say why He must go for the Spirit to come. It was apparently a part of a plan that must be followed. Application: The Holy Spirit has come to us in a way that He would not have come if Jesus had not ascended back to Heaven. And His empowering presence is a blessing that we wouldn't have known aside from Jesus' death, resurrection, and ascension. 7. Jesus ascended in order to continue His intercession for us at the Father's right hand. Application: It is such an encouragement to know that Jesus went to bend the Father's ear, so to speak, on our behalf! He is right there, in the most exalted place, nearest to the Father, interceding for us constantly. 8. Jesus ascended in order to demonstrate His victory. Application: What an encouragement that Jesus did not ascend without first winning the decisive battle over all our enemies! His ascension proves that the victory is ours through His work and power. 9. Jesus ascended in order to give gifts to the Church. Application: Not only did Jesus leave us the Holy Spirit (as we saw earlier), but He also made sure that He gave us the leaders and the teachers we will need – and that the Holy Spirit will use – to help us achieve maturity as Christians and to serve Him in the Church and in the world. Do you often think of your pastor-teachers, for example, as gifts from Jesus to you? Do you thank Him for these gifts? Conclusion: Will you all think about the ascension of Jesus the next time you are pondering the most important events in His life or the most important aspects of His saving work on our behalf? Will you remember to worship Him as your risen and ascended Lord, as you ought to do? Will you remember to speak of His exalted status as the ascended Lord when you tell others about Him? I hope the blog's readers find this brief teaching outline helpful, not only in reminding themselves of the importance of Jesus' ascension, but also as an aid to help remind others as well.